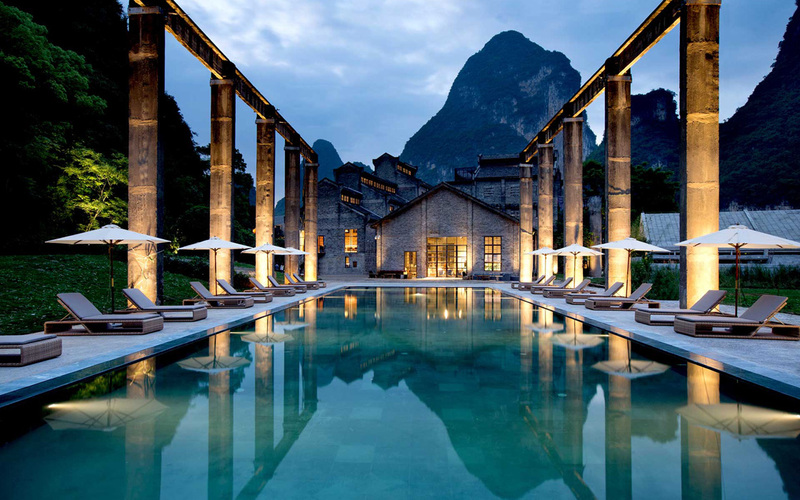 Alila Yangshuo, which has opened its doors on July 1, is the Alila Hotels and Resorts brand’s second property in China. 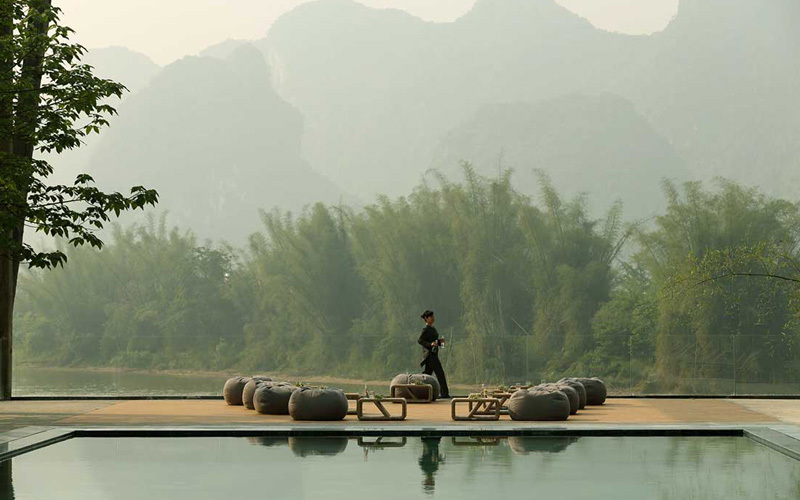 Situated amongst the picturesque karst mountains of Guilin, the resort offers breathtaking views of meandering rivers and rolling hills, similar to a Chinese painting. A little bit more than a one-hour drive from Guilin Liangjiang Airport, and only a 30-minute car ride from the Yanghuso railway station, the resort is close enough to reach it without much effort and far enough to get away from it all and recharge in nature. 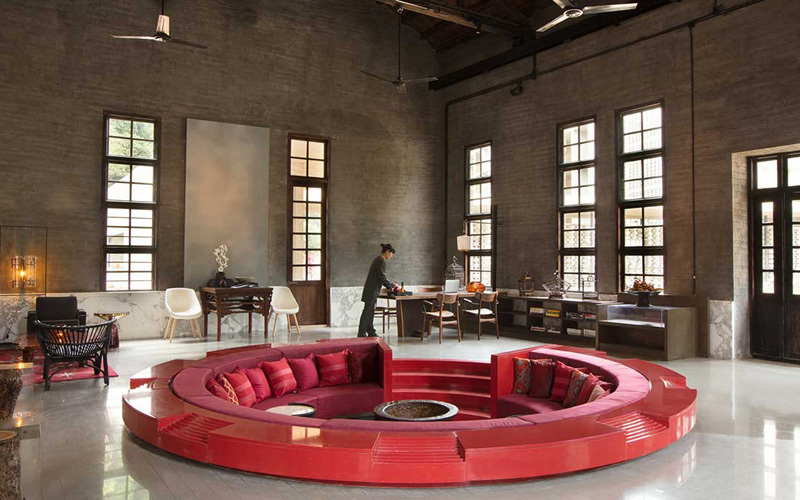 Boasting 117 rooms, suites and villas, the modern retro Alila Yangshuo is carved out of an old working sugar mill from the 1960s, and the swimming pool received a second life after functioning as a sugarcane dock. 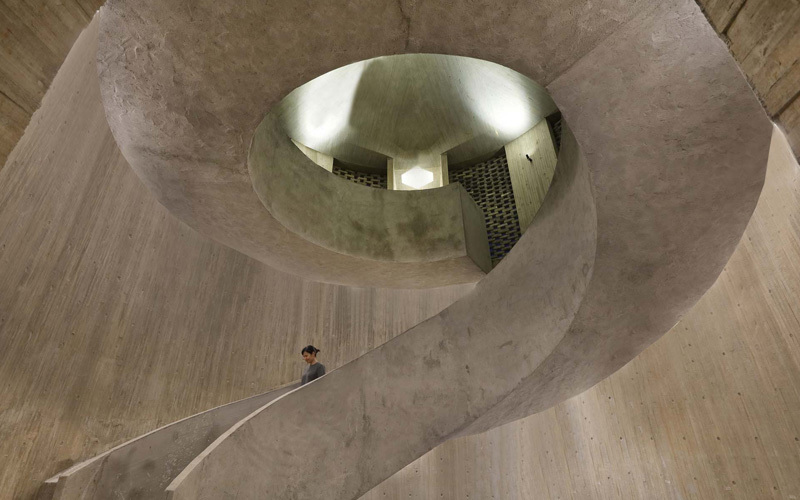 Designed by Dong Gong of Vector Architects and married with interiors by the award-winning Ju Bin of Horizontal Space Design, the theme was to unify the old with the new. Take for example the modern winding staircase leading to the underground Spa Alila, which was created from volcanic rocks unearthed during construction. 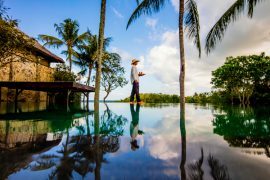 The cocoon-like spa is comprised of five state-of-the-art treatment rooms, where guests can enjoy relaxing treatments that combine traditional Balinese techniques with Yangshuo’s local black sugar. 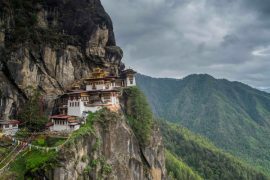 Along with a gym, a library, the Sugar House Restaurant, the 1969 Bar, a kids’ club and other five-star luxury facilities, the resort also prides itself on offering bespoke Alila Experiences, such as rock climbing at the resort’s very own karst hill, a sugar spinning class to pay respect to the building’s cultural past, a scenic Yulong River biking tour, as well as a picturesque cruise along the Li River on a bamboo raft.